SCHAUMBURG, Ill.--(BUSINESS WIRE)--Network Data Systems (NDS) relocates to its new corporate headquarters at 300 North Martingale Rd in Schaumburg, IL. In the wake of substantial growth of its services business, NDS has expanded its footprint and chosen to remain in Schaumburg. The new corporate location will house office space, a significantly expanded Network Operations Center (NOC) plus staging and warehouse space. "The business climate, access to engineering talent, as well as transportation and other amenities convinced us to remain in Schaumburg," stated Al Siders, NDS CEO. "Our managed service and cloud service business has more than tripled in size over the past four years," stated Wayne Dumas, NDS Vice President of Service Delivery, "and we expect continued growth in the future based on the demand we are seeing from enterprise level, global organizations with complex, mission critical IT environments. Our new 7X24 network operation center not only expands our capacity to house additional engineers by a factor of three from our previous location it also allows us to address the anticipated growth we see coming." 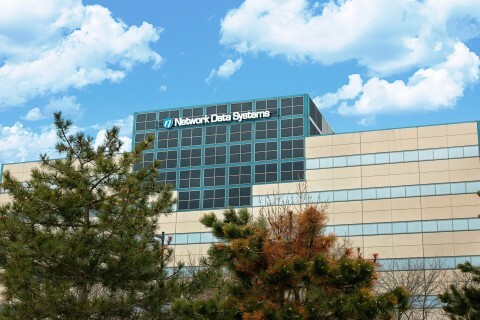 Network Data Systems moves to new corporate headquarters in Schaumburg, IL.